Candy and costumes are top of mind this time of year, but Halloween means one more thing: ghost stories. As we ponder what to wear (while snacking on candy corn) we can’t help but think of one of our most haunted happenings at Hotel Monteleone. Turn down the lights and read by the glow of your screen – this is the story of Maurice Begere, a child who tragically died in our hotel… and who still haunts it to this day. 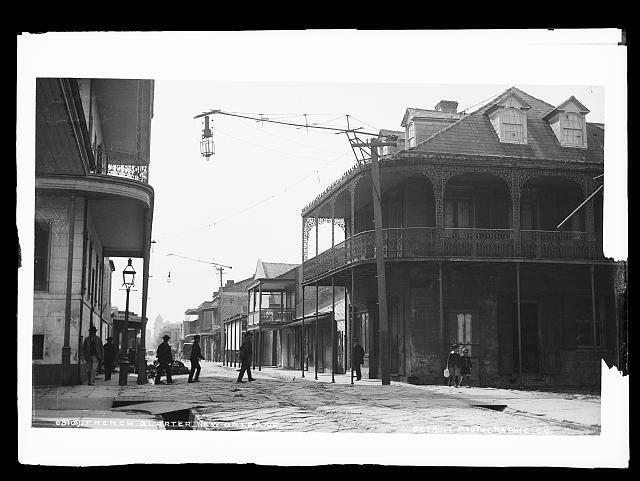 During the late 1800s, the wealthy Begere family stayed at the Hotel Monteleone often. Jacques and his wife Josephine loved attending the French Opera House on Bourbon Street, but the lengthy operas were no place for their young son, Maurice. Entrusted in a nanny’s care, Maurice – who was just a toddler at the time – developed a fever one evening while his parents were at the opera. Although he received care, it was not enough. Maurice had a convulsion and died in his room. The grief his parents felt upon their return is hard to comprehend. Josephine Begere could not bear to leave her son behind. She and Jacques returned to the hotel year in and year out in hopes that the spirit of Maurice might visit them. Eventually, he did. On the 14th floor (which is really the 13th floor), Maurice appeared to his mother near the room where he died. In a striped shirt typical for children of that era, Maurice told his mother, “Mommy, don’t cry. I’m fine.” The encounter left Josephine in tears, overjoyed at having a loving moment with her young, departed son. One guest encountered Maurice in recent years. “It didn’t take me long to realize that I had seen a ghost,” she says. Maurice’s parents weren’t the only ones who saw the boy. To this day, guests report seeing the ghost of a friendly toddler on the 14th floor – the same floor that the International Society for Paranormal Research determined to be a hotbed of paranormal activity. Haunted Hotel Monteleone? It’s Up To You To Decide. Halloween’s impending arrival provides the perfect time for guests to enjoy the “haunted” side of our hotel. In 2003, the International Society of Paranormal Research investigated the “haunting” of Hotel Monteleone. They claimed to have made contact with more than a dozen earthbound entities. Many of our guests request a room on the 14th floor, as that is said to be the most haunted of any floor of Hotel Monteleone. Book a room now and let our concierge help you plan a ghost tour or New Orleans cemetery tour, or simply walk along the 14th floor in hopes of a paranormal experience.